12+ or – Players Adapt as required. 6 Players on outside of circle with a ball. 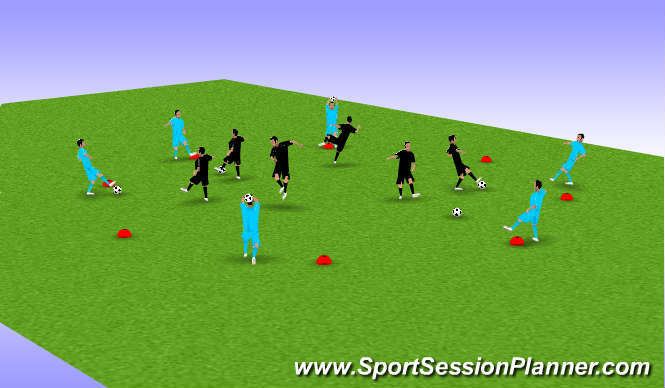 6 Players inside circle, moving about circle in different directions completing skill then move onto another outside player, continue for 1 minute. Headers for 1 minute and change. Chest control and pass for 1 minute and change. Volley L and R foot for 1 minute and change. One touch pass, both feet for 1 minute change and finish. Total Ten minutes, 8 minutes of play, 2 minutes briefing players between change of task.